I have recently done quite a few trips (by my standards) and have not written any detailed trip logs! So all the trips are getting merged into one another in my head. Time to sort it out and I would start with the latest trip first. Actually I am a bit surprised that I did not write the accounts as I usually do enjoy writing them. 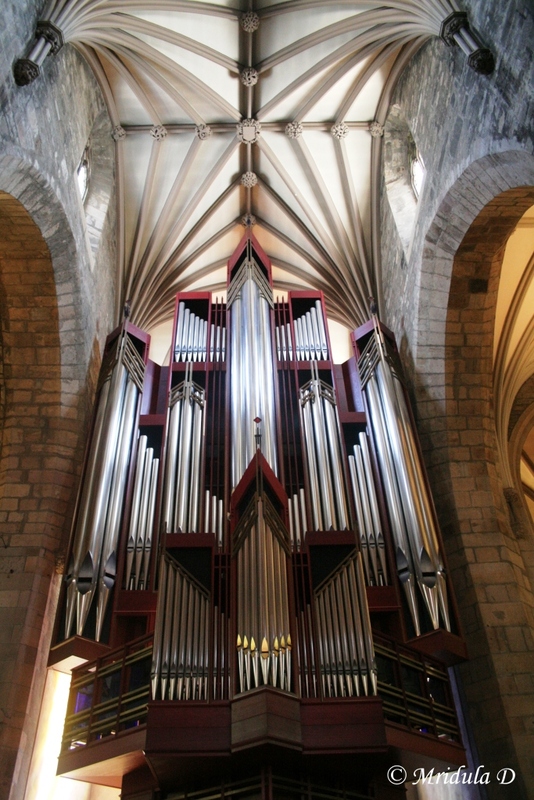 In the meanwhile looking at my pictures, I realized I wanted to post two today from the interiors of the St. Giles Cathedral at Edinburgh. This trip to Edinburgh was done on the spur of the moment on encouragement of my colleagues! In my original plans I had kept the Saturday free. But they fancied a day trip from Lancaster to Edinburgh and back in one day. And I agreed to do the same. So we had landed there without knowing anything about the place, at least that is how it was with me. 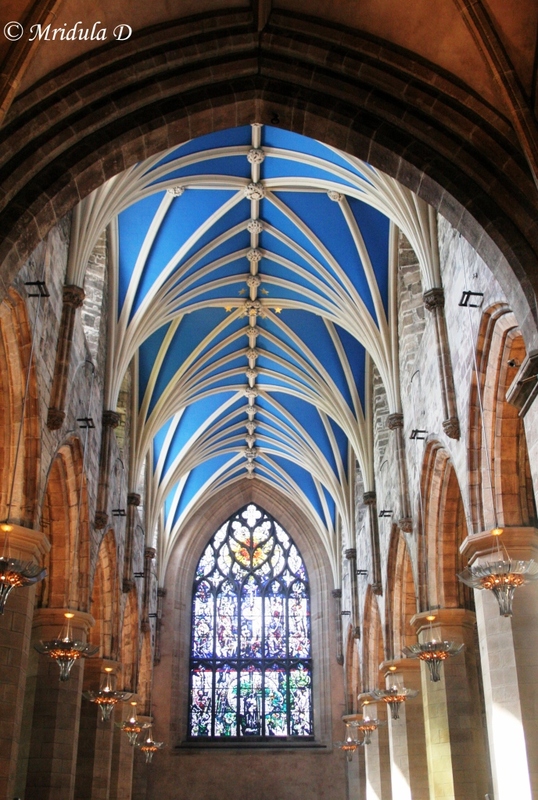 While walking on the Royal Mile later when I saw the cathedral, I had to enter. I remember they had advertised a photography pass for 2 pounds near the entrance and I purchased one. I didn’t wish to take the pictures on the sly. I took many but I have very little idea about how the light will turn out that was pouring through the glass windows. Still it was an enjoyable interlude. I also remember that by evening I was so tired that on the train back to Lancaster even though I wanted to watch the sunset and the scenery, I just fell asleep! 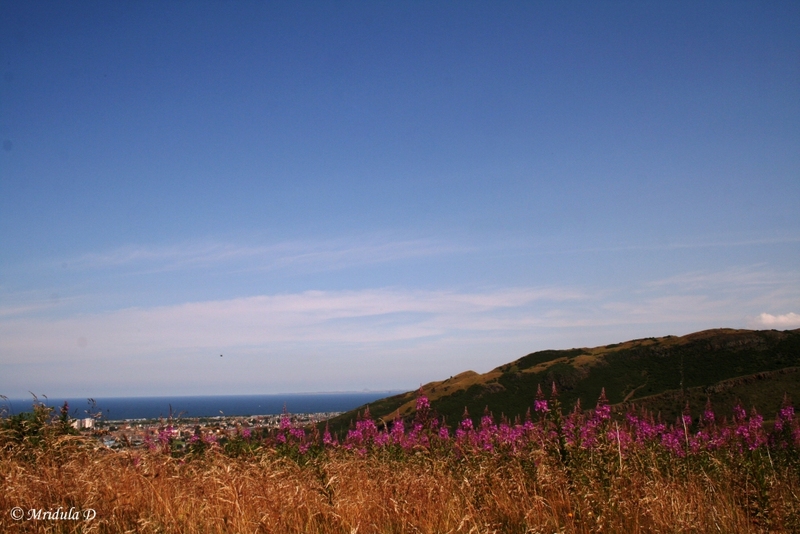 For today’s Skywatch I am using a picture I clicked at Edinburgh in June. But a week later I would have an opportunity to click a few more pictures from Andman. Yes I am headed that way! For more skies from around the world please visit the Skywatch Page. 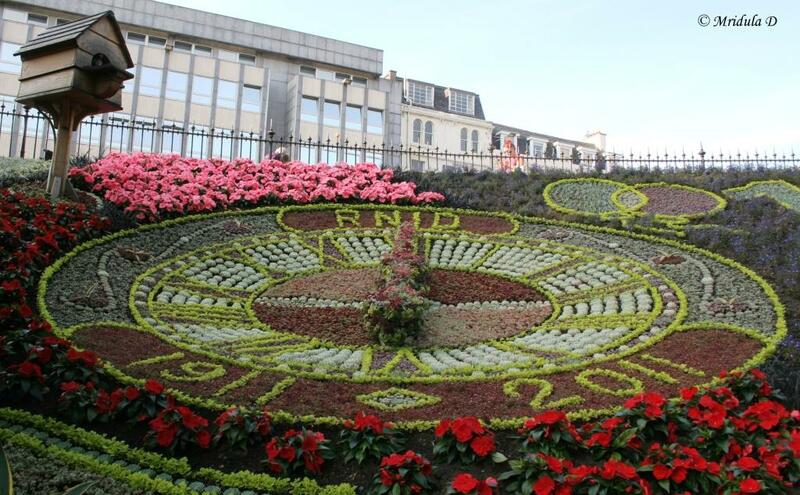 I was quite mesmerized by this floral display at a public park at Edinburgh, Scotland. There were so many people around it in the evening that I had to request someone to give me a little space so that I could click a picture. 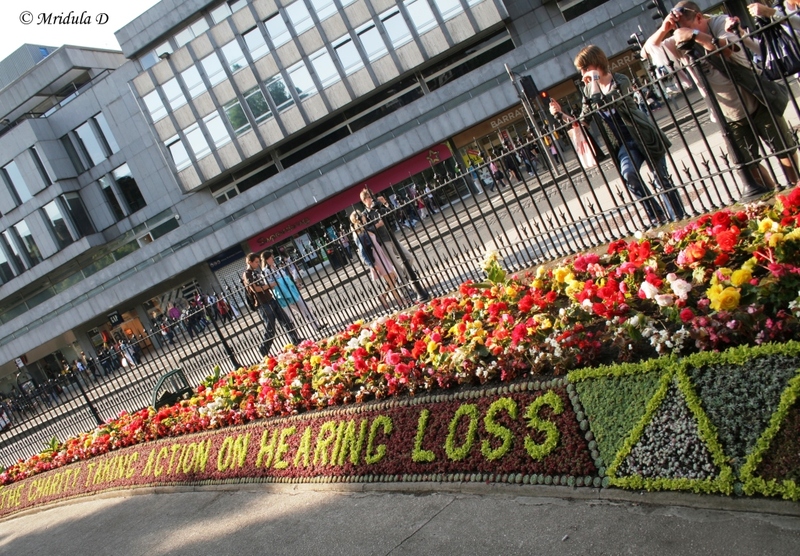 The display had the name of the Charity ‘Action on Hearing Loss’ who were earlier known as RNID.